Look, let’s not jump to conclusions, here. Sure, this looks like the Ghostface Killer, but at the end of the day, haven’t we all been the victim of some hasty assumptions? Okay, sure…there’s been reports of a deep-voiced dude calling unsuspecting female teens in the area and asking them what their favorite scary movie is, and yes…those teens were later found mysteriously and viciously bludgeoned to death. But again, folks, this is America - we can’t just go around, accusing people in ghostface masks and full-body capes of murder! Haven’t you ever heard of freedom of expression? Maybe this is just how this person likes to dress! And yeah, so it’s a little creepy that they constantly wear a full face-covering mask, and yes, we’ve also thought to ourselves, “Hey, this looks like a person who has something to hide”, but we’d like to think of ourselves as someone who does not judge, lest we be judged. Benefit of the doubt, people. That’s what makes this country great! In fact, why don’t you step outside of your narrow-minded stereotypes and take a walk in this guy’s robes, huh? 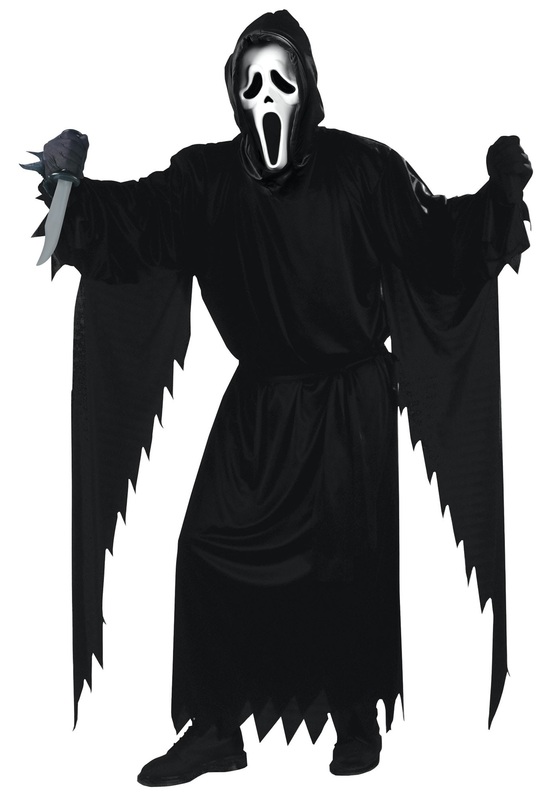 If you’re sooo sure that this person is the one who’s going around, stabbing all those teens with an unusually and frankly unnecessarily large knife, then it won’t hurt for you to slip on this officially licensed Adult Scream Costume from one of Wes Craven's most frightening films and try to see what they see, right? So take this trademark black robe with the draped sleeves and shredded bottom, and this eerie ghost mask, and work on growing a little empathy, will ya? And don't forget this stack of horror movies…go ahead and watch them all and maybe you'll actually learn somethin’!